Millikin’s Center for Entrepreneurship is supporting the Make, Explore, Share Fair on April 11, 2015 from 10:00 AM – 4:00 PM at the University of Illinois Extension office (across from Richland Community College). This event is open to anyone who crafts, creates, or even just tinkers with art, technology, gardening, craft beer making, printmaking, drone-flying, raspberry-pi making, you name it!! This is an excellent ready-made performance learning opportunity. This is certainly also open to student-run ventures which would want to exhibit. One of the major tenants of this event is that exhibitors need to share their process of how they make things. They are welcome to sell products too, but they must share how they create their products. For technology folks, that doesn’t necessarily mean sharing code, but it does mean that the process used needs to be open. View the event flier for more information and register online. There is NO FEE to be an exhibitor. I’m getting ready to start tinkering again. It’s been a slower summer than I thought due to a last minute class to teach, vacation, and all the other summer outdoor temptations. Earlier this spring, I started looking into Raspberry Pi. The prospect of a credit card size motherboard that has been mass produced inexpensively is intriguing to me. Not just because of its size and proof that Moore’s Law still lives on, but because of the foundations’s mission. 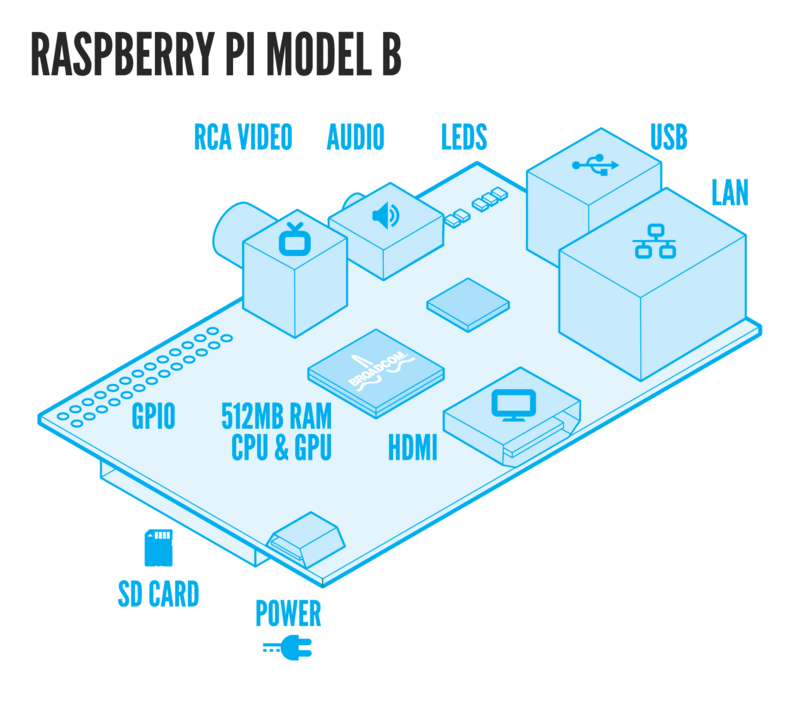 The goal of the Raspberry Pi is primarily to teach basic computer science in schools. This has historically been difficult due to the cost of technology. With a sticker price of $35 per motherboard (Revision B), one big barrier has been lifted. The other thought was that these motherboards could be used in developing countries as a low-cost way of introducing technology into their cultures. 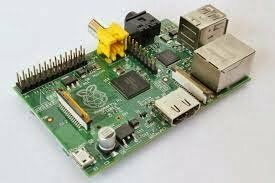 Plus, with a name like Raspberry Pi, what’s not to like? So, I started doing some research and figuring out just what all I needed to get started with a “Pi.” (Mmm, Pi! Oh, different Pie). I digress. It turns out that $35 gets you just that, a Raspberry Pi motherboard. No power supply… No storage… nada. The newer revision (Rev B) contains 512MB RAM (not expandable), onboard Ethernet, 2 USB ports, SD card slot, and HDMI (also video composite and audio out). It’s $35 for a reason — it’s bare bones. I now felt what it was like to “accessorize.” It was time to do some serious peripheral shopping on Amazon without breaking the bank. After going through their site’s helpful list of FAQs, here is the starter kit I have on order and should be here next week. For a total price of $127.23, I’m still pretty impressed how lost cost you can build a machine like this. My goal here was to make sure I had enough components that made the kit portable and fit a variety of scenarios based on who was going to use the kit. I’m likely to get started by installing the recommended Linux distribution and putting it through its paces. After I’ve had my tinkering, I’d like to see some students take charge and see how they can innovate and use the hardware to learn Python, build a multimedia PC, or a model desktop platform with basic functions for low-income individuals. Others have been really creative in the gadgets they have built. Regardless, I’m excited to see how this tinkering exercise works out for me and even more excited to see what students can do. But first, I have to wait for all these parts to arrive.